The 1SKB-GB66 Electric Guitar gig bag is the perfect fit for standard style, solid body electric guitars. Constructed of durable ballistic nylon with dual heavy-duty dual zippers with SKB pull tabs. Includes a three tiered accessory pouch on the front large enough for cables, straps or other essentials. An attach‚ inner compartment for pens, picks and other small items. 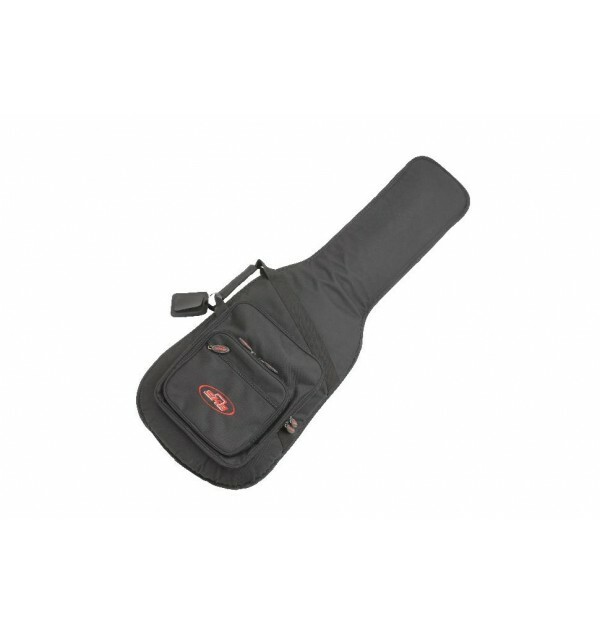 An adjustable, padded shoulder strap is included for hands free transport or can be easily removed if necessary.The interior is a padded soft nylon with reinforced ballistic nylon patches in the headstock and bridge area to protect from sharp string ends. The Gig Bag is covered by SKB's Soft Product Warranty.